Chief Officer Ernest Willsteed of Cowes Fire Brigade, almost certainly the Island's longest serving fireman in its entire history, passed away on 30 October 1945 aged 87. Throughout the course of researching for both Ready When Wanted and From Victoria to the Armistice, Ernest was one of those few Isle of Wight firefighting characters that was rarely out of the Press as he actively drilled his men, contributed to their welfare and commanded them with notable esteem at a range of fires, some of them of substantial proportion. Unfortunately throughout the course of his lengthy career the Press differ between Willsteed and Willstead, the latter featuring in the lion's share, which influenced me to rely on this spelling throughout the aforementioned books. Having recently accessed original documents featuring his name I can confirm that Willsteed is correct and I apologise to his descendents for the repeated error in the IWFBF publications. Ernest was born in Billingham on 28 February 1858, the son of James, a shepherd and Ann. At the time of the 1861 Census, aged two years, he was the youngest child with three sisters and the eldest child a brother before him. The family resided at a cottage known as Ivy House in Billingham. The Census of twenty years later shows that he now lives alone, aged 22, in number 12 Ivy House, with his parents next door at number 11 and another Willsteed family, headed by 55 year old John on the other side at number 13. All of the men resident in the three cottages are listed as agricultural labourers while his father, now aged 57, remains a shepherd. At some stage over the next few years Ernest uprooted from his pastoral life and moved to Cowes. This may have coincided with his marriage to Jane Whittington in spring 1882. The 1891 Census shows that they already have three sons and a daughter and that Ernest is manager of the West Cowes waterworks. However before this he is known to have joined the West Cowes Fire Brigade. Reporting his death in 1945 the IW County Press claimed that his first shout was a call to a serious fire involving a derelict windmill at Mill Hill. This was a notorious fire in the district that made the news in several newspapers. Given the derelict nature of the windmill, which was later demolished, it wasn't the scale of the economic loss of the mill that gripped the public's imagination but the shocking image of the lofty building as fire ripped throughout its structure and the sails burned away and floated to the ground. If the County Press of 1945 were correct this means that Ernest was a member of the brigade on the date of the incident, 13 January 1885, and in all probability for some time beforehand as this was the first serious fire the town had suffered and the only one reported in the Press since December 1882. We know for sure that he was made brigade Superintendent in April 1889. The extract from the County Press of 6 April 1889 provides the evidence. Captain Willsteed (right), with Firemen Giles and Spencer in the aftermath of one of Cowes's serious fires of the era. By the time of the 1901 Census, Ernest was a well known man of great importance to the town for both his fire command and management of the town's water supply. At the time the census was taken Ernest and Jane fielded six children ranging between 8 - 18 years of age. By this time, in common with all brigades on the Island, the title of superintendent had been replaced by that of captain and it was this role that, for reasons unknown, Ernest resigned from some time around 1900/01. He was replaced by Thomas Richardson, a man who was until 1894 the Foreman under Captain Willsteed, before he too resigned, but returned as Honorary Captain in Ernest's place. However Ernest maintained membership of the brigade, from hereon as Deputy Captain under Richardson. Further ambiguity is raised in the original minutes of the IWFBF meeting at Cowes Town Hall on 10 August 1901 where the list of attendees includes both Richardson and Willsteed, both termed Captain. It can be assumed that no error exists as the minutes were signed off as accurate by Richardson himself because at that time he was the Federation's chairman. For the next twelve or thirteen years, whilst he remained deputy, it is Ernest who is regularly reported as the officer in charge of the brigade at some staggeringly serious incidents. Richardson ended up resigning the captaincy in 1906 following allegations of financial irregularities, something for which he was exonerated but possibly felt had left a stain on his reputation. Willsteed remained deputy whilst Newport Fire Brigade's engineer Joseph James Billows was appointed to the role above him. In the 1911 Census, Ernest and Jane's home address, which they shared with three of their six children, was listed as the Fire Station, Victoria Road, Cowes. A later County Press article explains that in fact they lived in a cottage adjoining the fire station, which from research appears to have been on the same site as the present Cowes Fire Station. In February 1911 a massive conflagration ripped through the J.S. White's buildings in the area of Bridge Road, threatening and in some parts destroying neighbouring property. As Billows was unwell Ernest led the Cowes firemen who were soon overwhelmed by the scale of the fire and received assistance from both Island brigades and Navy contingents. Regardless of the scale of the destruction Ernest was commended for his actions. This fire was of such an extent and duration that the firemen had barely time to pack their equipment and return filthy and dishevelled to their homes before another substantial fire was reported at 37 York Street. Again it was Deputy Captain Willsteed who commanded the by now exhausted but determined firemen whose task was, thankfully, moderate compared to the former incident. February 1911; the aftermath of the J.S. White's fire. On 29 March 1911 a fire brigade concert was held at the Foresters Hall in aid of the NFBU Widows and Orphans Fund. It was also the occasion for the presentation of service medals to various members of the brigade. At this event Ernest was presented with his Silver 20 year medal, although the County Press article states that by this stage he had actually served for 28 years. This evidence pushes his likely recruitment to the brigade even further back to 1883. 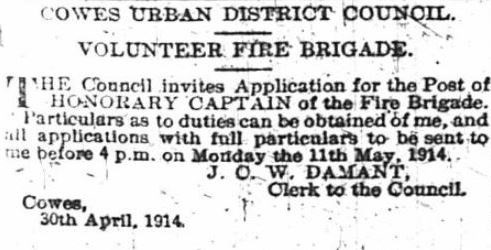 In April of 1914 Joseph James Billows resigned his captaincy and three weeks later the Town Council placed an advertisement in the County Press for the role of Honorary Captain (unpaid). The position went unfulfilled for some time while Ernest commanded the brigade as Acting Captain. When the war began Ernest, by now in his 57th year, volunteered for service with the British Red Cross and was appointed as voluntary stretcher-leader at Northwood House which had been requisitioned by the War Office as a military hospital. Around the same time his youngest son Mendl who had followed his father in to the brigade, departed for service overseas with the Royal Army Medical Corps. Mendl was one of thirteen Cowes firemen who the brigade lost to the various units departing for war. 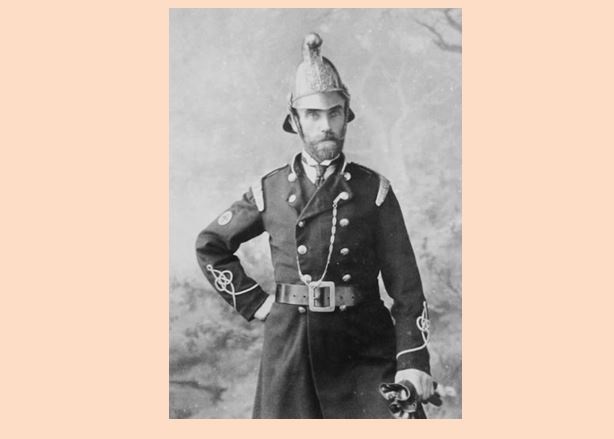 Whilst Ernest energetically engaged in his new role, he managed to combine it in his busy life as Acting Captain of the brigade and manager of the waterworks. In May of 1915 he quite literally combined his roles when implementing a fire drill at Northwood that involved the hospital, the water supply and the brigade. 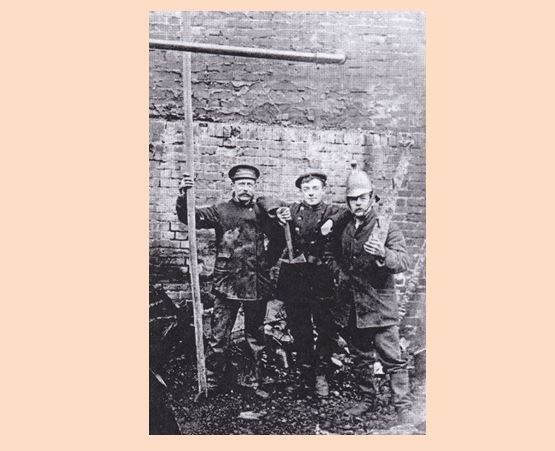 The loss of so many skilled young firefighters represented a great challenge for Ernest through the years of the war and in 1915, the period of the greatest loss of manpower, he was especially challenged. Recruitment in Cowes followed similar lines to that of other brigades around the Island; firemen who had retired returned amid the patriotic fervour and were coupled to a handful of volunteers who might normally have not been accepted for fire service duties. As always Ernest's ethos was drill, drill, drill and his keen eye for correctness was evidenced at a serious fire in November. On the 27th three properties were involved in fire at Bath Road. 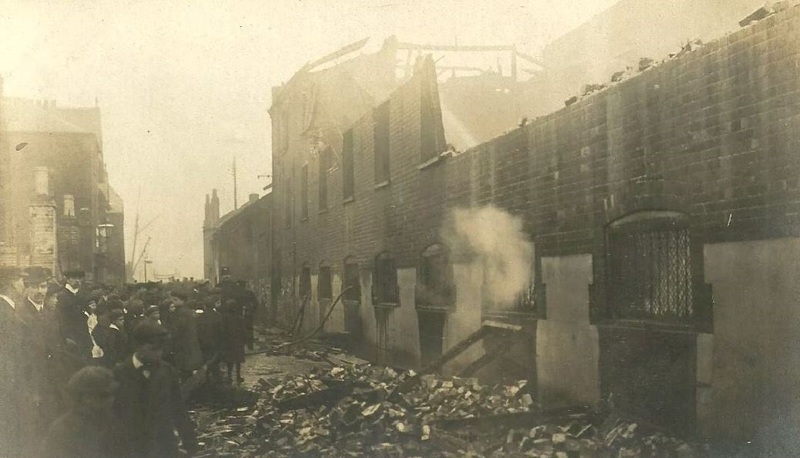 The conflagration was fearsome as the ad-hoc brigade, still equipped with a manually operated fire pump, arrived to find flames pouring out of a ladies tailors and outfitters, Albert Restaurant and Hope House. The yield of the fire threatened the many other properties in close proximity and many residents began removing their furniture and possessions in the expectation of fire engulfing the entire street. The Cowes County Press correspondent who attended the scene remarked of the brigade; They had a formidable task, but under the capable and tactful guidance of Acting Captain E. Willsteed they did most effective work. This understates the miracle that Willsteed and his firemen managed to prevent any further fire spread in the face of a horrifying scale of conflagration. The incident and the brigade's part in it were to receive the approval of the Town Council when they sat two days later, but it was the formal report that sealed Ernest's future. His former Captain, Thomas Richardson, now sitting in Council, delivered a report on 14 December that reflected a glowing praise for Acting Captain Willsteed. Richardson finished his report with the recommendation that the matter of the brigade's captaincy be no longer held in abeyance, Willsteed should be appointed as captain without hesitation. This was unanimously agreed and fourteen years after previously resigning the role, Willsteed was compelled to step up and formally take the reins he'd practically held for most of that period anyway. On this occasion the Council went a step further and removed the phrase honorary from the title and rewrote the brigade rules to ensure that from then on the captain would be paid for his time as his men were. Given Ernest's long-term commitment to the brigade followed by Mendl's membership and the fact that the family lived immediately next door to the fire station, it is no surprise that the Willsteed's life existed in tandem with that of Cowes Fire Brigade. Evidently Mrs Willsteed was as popular with the men as her husband. In December 1915 they presented her with a silver plated tea-pot; as a mark of esteem and in appreciation of her valued service at the Fire-station in connection with the fire calls and on many other occasions. Whilst the IWFBF had lapsed into little more than the merest of existence Ernest remained one of those who always attended the annual meetings and he was fully supportive of Newport's Chief Officer Mursell who reinvigorated the Federation in 1924. In the newspapers and in Council Ernest continued to receive congratulations for his command of the brigade both in drills and at fires. Finally in 1936 Ernest, by now aged 78, decided it was time to take things easy and he retired from both the waterworks and the fire brigade. The firemen arranged a concert in his honour at the Victoria Restaurant on 24 September in recognition of 53 years solid service. 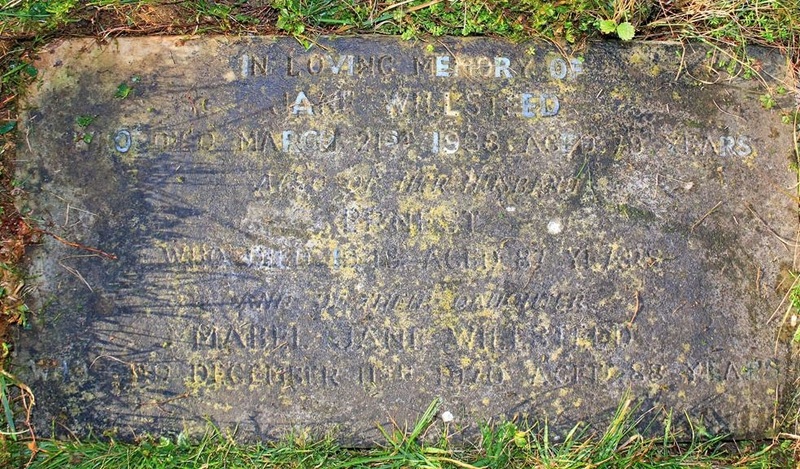 Sadly two years later Jane passed away and Ernest, with his eldest daughter Mabel, moved from the house by the fire station to Albany Villa, 38 Granville Road, just around the corner where he was found when the 1939 Register was taken in September that year. Having researched his life and imagining the indefatigeable nature of the man, it made me smile to see that clearly retirement proved too dull for Ernest as the columns reserved for the entry of 'occupation' in the 1939 Register evidence that he had returned on two fronts and was serving as Assistant Manager of the waterworks, and had even joined the recently formed Auxiliary Fire Service... aged 80! When he suddenly passed away in October 1945, the County Press remarked that he was believed to be the oldest serving fireman in the country, by then 87 years old and having completed a total of very nearly 60 years in the fire services. In the course of researching the Island's fire brigades there have been many notable individuals who have served lengthy periods. Some were flamboyant characters of glamour during a period when local firemen were treated like minor celebrities, some of them travelled abroad in search of greater things and brought great new ideas to the Island's brigades. But when it comes down to the grass roots of committing totally and stoically to your home town's safety and welfare there is none that can match Captain Ernest Willsteed whose service, humility and evident quick wittedness saved many a life and property. Rest in peace Captain Willsteed. 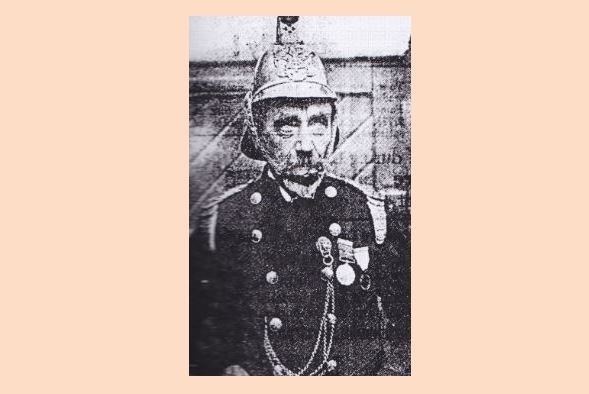 Captain Ernest Willsteed in his later years of service with Cowes Fire Brigade.